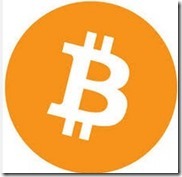 You are here: Home / Australia / Bitcoin – Is Australia Leading the Crypto Currency Race? A new wave of optimism is currently gripping the world of crypto currency Bitcoin. The latest in a long line of pro-active investments comes from Matthew Taylor Mellon II, Chairman of The New York Republican Party’s Finance Committee. He has reportedly pumped US$2m into New York-based startup CoinAlex, who according to Bitcoin news service BTC is tasked with looking for ways to achieve regulatory compliance for US businesses using Bitcoin. This Stateside confidence is no doubt inspired by 15th June’s groundbreaking news that Australia’s own digitalBTC began trading on ASX, in doing so becoming the first Bitcoin multi-service provider to achieve such a target. It all seems to be the answer to Bitcoin’s historical question of legitimacy – Australia effectively has given the green light to generations of Bitcoin-derived companies and providers to follow, thus stealing a march on global competitors still scrabbling to make up ground in the race to convince not only investors but the wider population about the credibility of digital currency. On digging a little deeper into digital BTC itself and with a little help from coindesk.com, we find the company is in fact the product of a reverse takeover – Macro Energy invested in digital BTC and its parent company Digital CC back in March 2014 to the tune of AUD$9.1m. What this means in theory is that Macro Energy could have traded as a company with an interest in digitalBTC, without necessarily explicitly acknowledging the link to Bitcoin related activities, potentially leading to accusations of dishonesty and thus to more cloud around the legitimacy of digital currencies. In practice, digitalBTC’s policy of adopting its listing on the ASX (under the ‘Digital CC’ trading name) leaves investors in no doubt as to what they are spending their hard-earned on. This is a sentiment shared by the company, with a spokesperson stating that the stringent legal requirements of being listed on the ASX would automatically render digitalBTC the “world’s most transparent Bitcoin company around.” This listing required approval, and again coindesk.com reported that since then the company’s trading desk revenues had returns of 34% in May, whereas they were 31% in April. With all this happening in Australia’s relatively Bitcoin-liberal climate, there is a clear argument to suggest that letting companies such as digitalBTC trade on stock exchanges is a positive step towards letting digital currencies incubate and integrate into wider mainstream commerce environments. 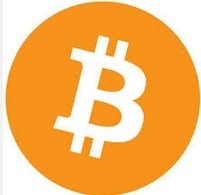 However, a note of caution is to be sounded with the news that, in the US, a recent ruling by the IRS (Internal Revenue Service) reported on the website of IT News categorises digital currencies such as Bitcoin as property – so for tax purposes every transaction made has to be treated as a trade in assets rather than one in currency. Concurrently, the Australian Tax Office has delayed releasing guidelines on whether it sees these crypto-currencies in the same way for a second time, leading to further speculation about their long-term future. Whatever happens, Australia still leads the rest of the world by being the first country to allow legal, transparent trading in Bitcoin service providers such as digitalBTC. Logically, the next step may be to invest in third-party transaction platforms and services to help digital currency make the transition into mainstream Australia, perhaps creating further jobs and investment opportunities in the process. Watch this space to find out if early adoption of this pioneering virtual currency could have very real benefits for the Australian economy.